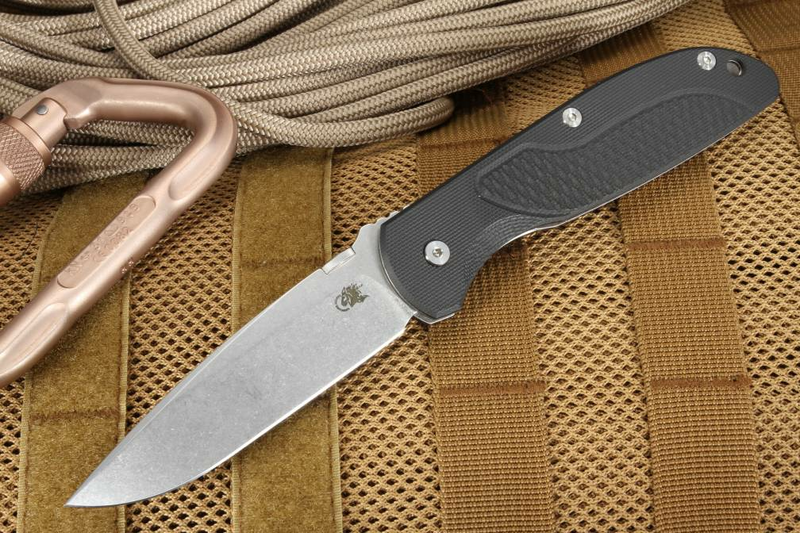 Rick Hinderer has been one of the big names of American made knives for decades. From his humble beginnings creating knives from his repurposed turkey coop to his current Shreve, OH location, if the knife bears the name Hinderer, you know that it has been created with a level of quality, craftsmanship, and utility unparalleled in the knife world. Hinderer knives are common in the world where tactical and everyday carry knives are more than just a selling point. 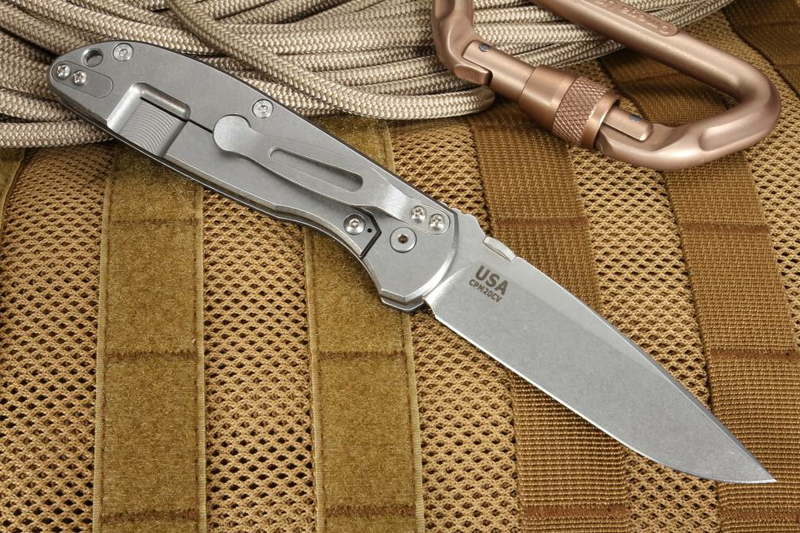 Used by actual military and first responders in the world, Hinderer knives have a solid reputation for getting the job done. The Firetac with Spearpoint Blade and black G-10 handle is no exception. With an overall length of 8.25", the Firetac is a spear point blade featuring a 3.625" blade and a 3.5" cutting surface. The design of the blade allows for quick and easy penetration, and the CPM-20CV stainless steel with a Rockwell hardness of 59-61 means that it can withstand a lot of punishment. Whether it is piercing through sheet metal, cutting seat belts, chopping wood, or even cleaning game, the stonewashed finished blade withstands corrosion and reduces scratching and marring. The .14" blade stock is flat ground down to a razor's edge, which it holds onto even through repeated use. Jimping on the back of the blade allows for precision as well as power, depending on your cutting technique. The ambidextrous thumb disc provides smooth and easy deployment for when you need it and seconds count. The 4.625" long handle is made of G-10 with textured scales and a lock bar mechanism in the finger groove to ensure maximum control as well as limited slippage when working in wet or dry conditions. At .45" thick and 4.19oz, this everyday carry knife fits easily in your pocket or on the integrated, reversible titanium clip for right or left handed use and tip up/down carry. The titanium frame lock is reinforced with hardened stainless steel to eliminate wear and prevent malfunction over time, preventing overtravel. 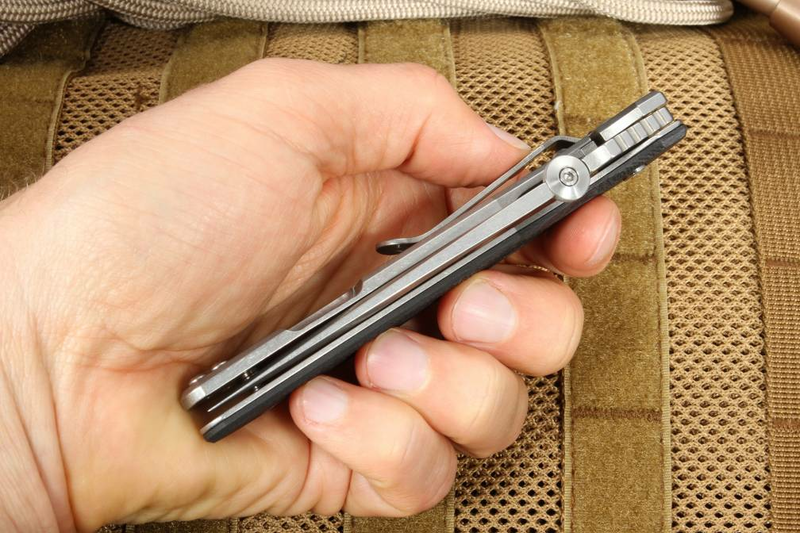 As an authorized dealer of Hinderer Knives, Knifeart.com provides fast free shipping and a satisfaction guarantee that if you don't love your Firetac with Spearpoint blade and G-10 black handle, you can send it back and you won't be charged a restocking fee. Hinderer knives are proudly made in the USA and have been for over 30 years.